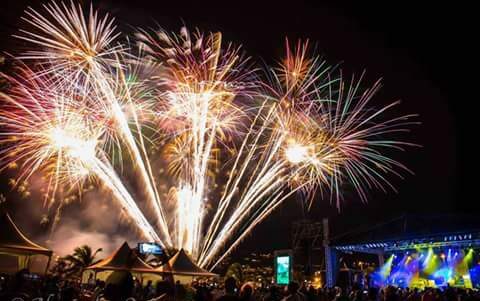 The Pure Grenada Music Festival (PGMF) has been launched and activities are underway to produce the best musical experience available to the Grenadian public and visitors to the island. Grenadian bands now have the opportunity to perform at the Pure Grenada Music Festival, 5 to 7 May 2017, by competing in ‘Ready for the Stage’. This competition will see bands performing original music to an audience and judging panel at Le Phare Bleu on Saturday, 10 December 2016. It is not too late, but time is of the essence. The deadline for the submission of entries for ‘Ready for The Stage’ has been extended to Tuesday, 15 November 2016. Interested bands can submit live recordings of 2 original songs via YouTube links along with band line up information and contact details to readyforthestage@grenadamusicfestival.com. All submissions must be recorded with live music; no playback tracks will be accepted. Interested bands can receive additional details on the PGMF website www.grenadamusicfestival.com or by calling 1-473-444-2400.